After a state senate committee rejected a bill which would have required that "workzone speed monitoring systems" only be used when at least one worker is present, Senator Alan Kittleman brought the issue to the floor by offering an amendment to a separate piece of legislation (Senate Bill 486 -- which allows private contractors rather than police to approve speed camera tickets). The amendment banning workerless workzone cameras failed to pass by one vote. Current law permits speed cameras to be used in freeway work zones on major interstate highways (including I-95, I-695, I-270, and I-495) "regardless of whether workers are present". A large percentage of Maryland Safezones citations are issued at such times, in some cases when workzones are completely unobstructed with no narrowed lanes, and sometimes where the speed limit has been reduced. 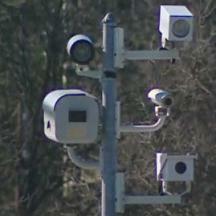 State law permits such cameras to be used indefinitely even if no work takes place for weeks or months at a time. The bill the amendment was proposed to be added to, Senate Bill 486, removes the requirement that citations be reviewed by police and permits for-profit contractors to have the final say in who receives citations. SB486 is still currently in the senate awaiting a final vote, while a version of the same bill (House Bill 944) is in committee in the House of Delegates. StopBigBrotherMD.org provided testimony AGAINST Senate Bill 486 and House Bill 944, arguing that it removes a critical safeguard for the innocent which was repeatedly promised to the public, and that the principal reason for removing police oversight is simply to make speed camera programs more profitable (at the expense of the integrity and accountability of the system). AAA Mid Atlantic also testified against House Bill 944.